I get it though. Most folks are used to frozen meatballs or the kind you eat out at restaurants that lack the most important ingredient...FLAVOR! 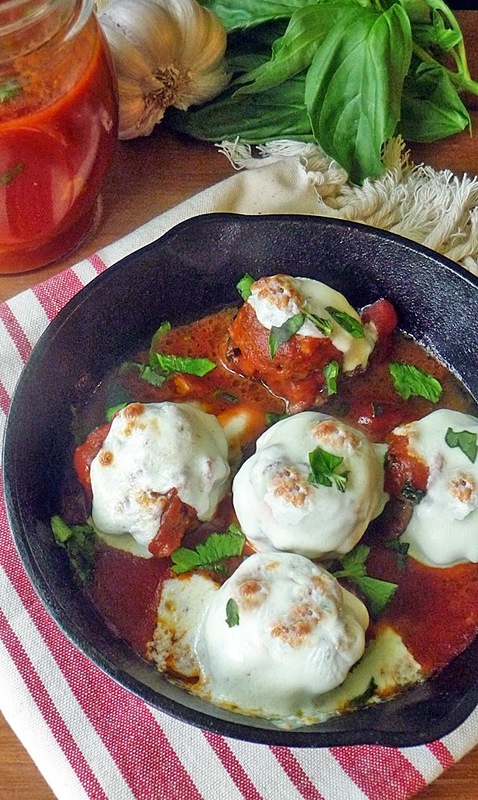 These meatballs definitely are loaded with flavor! I use plenty of fresh garlic and basil to pack a flavorful punch, and paired with my slow cooker Red Sauce you can't go wrong! Cook up some noodles and you have an easy meal that always leaves a wonderful impression. 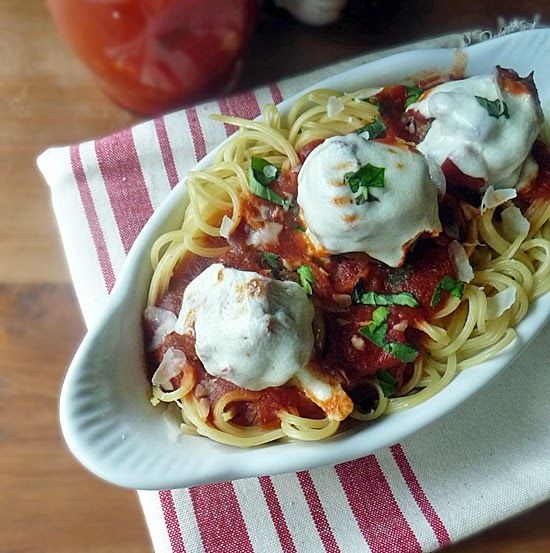 Another fun fact about this meatball recipe is the easy clean-up! I like to bake them on a rack that I place in a foil-lined baking sheet and just toss the foil when done. The cookie sheet is clean and the rack washes up easily. I love that! 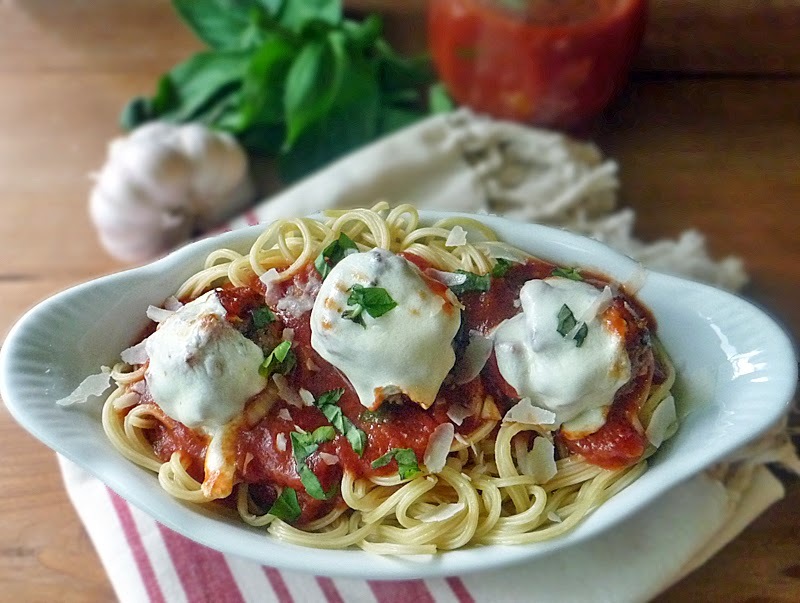 Preheat oven to 500 degrees F. In a large bowl combine 2 lbs ground chuck, 1 cup dry Italian bread crumbs, 2 tablespoons milk, 1 egg, 1/4 cup chopped fresh basil, 2 tablespoons minced onion, 1 tablespoon minced garlic, 1 teaspoon salt, and 1/2 teaspoon pepper. Mix this up really well. Put on some gloves or wash your hands well and dig in. You really want to be sure you combine all the ingredients throughout. Line a baking sheet with heavy duty foil or double line with regular foil. If using a rack be sure to spray it with some olive oil. I like to use my Misto Sprayer. If not using a rack, then spray the foil lightly with olive oil. Shape the meat mixture into 1 to 1 1/2" balls and place close together on the rack. I use a cookie scoop. It shapes the meatballs nicely and makes quick work of scooping them out and getting them ready for the oven! Place the baking sheet in the oven and bake for 10-15 minutes. Cook time will depend on the size of your meatballs, but I recommend checking them after 10 minutes. You can cut into one to make sure the juices run clear and they are cooked all the way through. 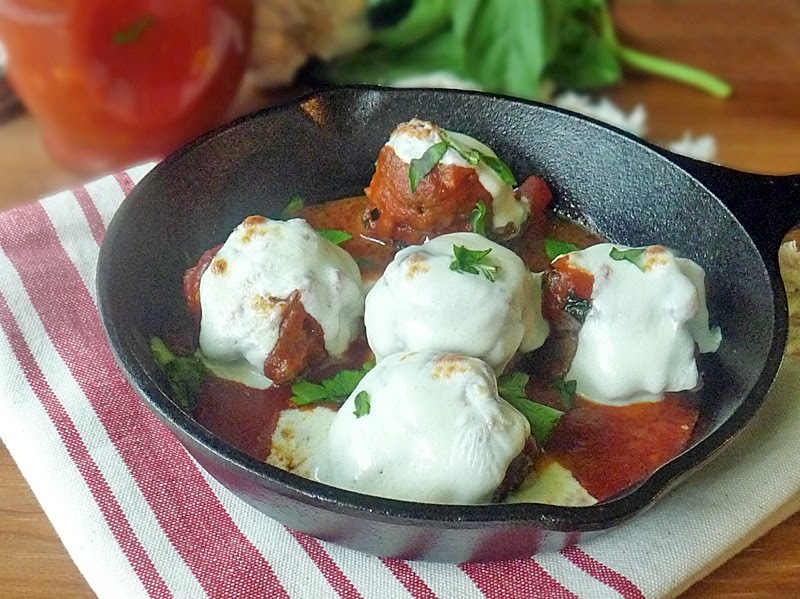 If you want to top each meatball with a piece of fresh mozzarella, be sure to cook them a little less than done and then put them under the broiler until the cheese is melted and slightly browned. Serve and enjoy! Oh Marion...gotta tell you, I made red sauce in the crockpot today...(a bit different recipe) But you are SO right It does have a much more wonderful and robust flavor....and the house, as I walked in tonight smelled like HEAVEN...or more accurately an Italian Restaurant! Perfect on a cloudy and rainy day....AND it loved being in there for 10 hours on low! Thanks, Girl!! Thank you for letting me know! I'm glad it wasn't just a fluke. I don't normally like to use the crockpot, but I'm so glad I did for the sauce! and, yep, the aroma is quite a nice bonus! I have no idea why it is so much better, but who cares??! !